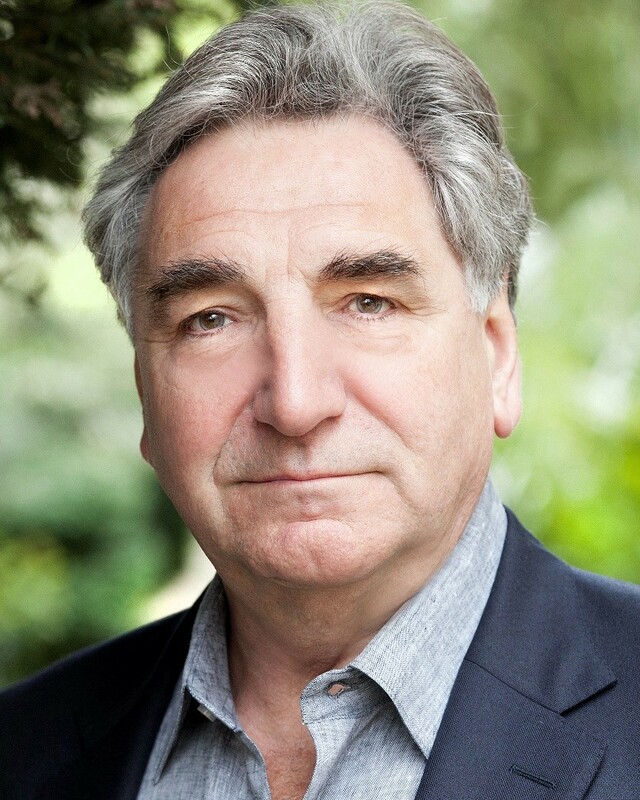 The Shrouds of the Somme team are delighted to announce that Jim Carter is Patron of the project. Jim Carter is perhaps best known to today‘s audiences for his portrayal of Mr Carson, the butler, in ITV’s hit drama Downton Abbey, for which he has received four nominations as Best Supporting Actor at the Emmy Awards. Jim has also worked extensively in film and television – A Private Function, Brassed Off, Shakespeare in Love, The Singing Detective and Cranford being amongst his personal favourites. Shrouds of the Somme is an extraordinary arts remembrance installation, depicting 72,396 hand-stitched shrouded figures laid out in perfect rows. Each figure represents a soldier who died at the Battle of the Somme but whose body was never recovered from the battlefield. Last summer I was part of a very moving recital in Exeter Cathedral with Show of Hands to commemorate the centenary of the first day of the Battle of the Somme. Running in tandem with the recital was one of the most extraordinary artworks I have ever witnessed. It was called ‘Shrouds of the Somme’. It was an acutely moving depiction of loss and remembrance. Artist Rob Heard had created 19,240 individually shrouded figures, each about 12 inches tall, and laid them out in symmetrical lines that seemed to stretch forever in an Exeter park. Alongside this memorial was a tent with lists of names of those 19,240 figures – all those who had lost their lived on the first day of the Battle of the Somme. When The Last Post was played over those figures, over those lists , over those lost lives, it was one of the most moving depictions of loss and the folly of war that one could have imagined. And now Rob Heard is working 15 hours a day, 7 days a week to complete this act of remembrance. To mark the centenary of Armistice Day in 2018, he is hand stitching 72,396 individually shrouded figures which will be laid out in perfect rows to represent the British and South African soldiers killed at the Battle of the Somme who have no known grave. Each figure represents a named soldier. Each figure is unique. The scale of Rob’s task is unimaginable but then so is the scale of the loss of life 100 years ago. This artwork is stunning because it represents grief in such a graphic manner and it gives those lost lives a name and a place in our memories forever. I support this project and would urge others to support it too in the hope that devastation like this will never happen again. PHOTO AT TOP: By Mark Thurkettle. Staff, volunteers and trustees from the Moorland Mousie Trust, which runs the Exmoor Pony Centre at Ashwick near Dulverton in Somerset, are celebrating an astounding achievement as their crowdfunding campaign draws to a close. The charity’s trustees have praised all the volunteers who help to keep the Centre running day to day and have bestowed huge thanks on two volunteers, Gail Cheeseman and Doulla Aebli, who have organised the Crowdfunder campaign and devoted the last six weeks to ensuring the threat of closure no longer hangs over the Exmoor Pony Centre. Donations and offers of help have poured into the Centre and fundraising events such as sponsored rides, cake stalls, non-uniform days and pony parties are being organised by supporters throughout the UK. There is still much to achieve before the charity’s future can be assured and the fight still goes on for the ponies. Staff and volunteers hope a busy summer will continue to boost funds with revenue from riding sessions, activity days and visitors. You can find details of activities and events, follow the charity’s progress or sign up to be a supporter and receive newsletters, on the website: www.exmoorponycentre.org.uk or on Facebook: www.facebook.com/TheExmoorPonyCentre. The charity is also pleased to accept donations via our website, by post and by phone on 01398 323093. ARE YOU GOING TO OCEANFEST? SNAP YOUR TICKET UP NOW! We predict a Riot! Devon’s longest running Surf & Music Festival tickets selling out fast. Whatever the reason, Goldcoast Oceanfest, taking place mid-summer weekend 16-18 June 2017 beside the sea at Croyde Bay in North Devon, is all set to welcome its biggest crowds. And it’s not just the surf that will be pounding. Friday evening kicks off with a cool DJ set by SIGMA. Multiple Brit-award winning, indie-rock band, KAISER CHIEFS will top the bill on Saturday night and SCOUTING FOR GIRLS will be Sunday’s headliners. The Cuban Brothers, Charlie Sloth, The Shelters, Gentlemen’s Dub Club, Willie and The Bandits and Alice Jemima are amongst other great acts playing the sunshine stage this year. There’s also a second stage, complete with Bar and Cider garden, offering an alternative music choice and stand-up comedy with the Comedy Avengers. Always a family event, there will be a circus performance area complete with aerial rig and stilt walkers weaving magic and imagination with live music workshops, lego making and crafts, storytelling and drumming. Food outlets, stalls and a fab chill-out zone are all in the mix. Sports action takes place down on Croyde beach with football and volleyball tournaments, surfing and water sports. Wake up to the sound of the waves in weekend accommodation right across the road at Parkdean Resorts Ruda Holiday Park. (Costs from £699 – sleeping up to 8 in a 3-bed caravan. www.parkdeanholidays.co.uk (0344 3353450) There are many other campsites, B&Bs, cottages and hotels in the local area. Grown from grassroots beginnings, Goldcoast Oceanfest is run by two eco-minded brothers who have a huge respect for the wonderful north Devon coastal playgrounds. The festival is a true family lifestyle event, with festival-goers encouraged to sign up and join in with the beach soccer, beach volleyball, surfing and ocean swimming competitions. A celebration of Somerset’s heritage is taking place at Somerset Rural Life Museum when it re-opens on Saturday 3 June. Local people are invited to join the South West Heritage Trust for opening day at the refurbished Museum, which tells the rich story of Somerset’s rural and social history. The day will begin with an opening ceremony at 11am. It will mark 100 years since George and Louisa Mapstone took the tenancy of Abbey Farm in 1917. Their granddaughter, Margaret Shreeve, who grew up on the farm, will be part of the opening ceremony. She will be joined by children from Elmhurst Junior School in Street. Based on Margaret’s recollections of farm life the children have created a painting which is on permanent display in the Museum. Following the ceremony, the Museum will be open for the first visitors to explore the new galleries in the farmhouse and former cowsheds, as well as to see the farmyard, the orchard and the magnificent fourteenth-century Abbey Barn. There will be traditional village games, music, and delicious local food to enjoy. Families can discover the history of the farm on a fun family trail around the site. Visitors will also be able to enjoy the museum’s first exhibition, ‘FARM’, a collection of paintings and drawings by local artist Kate Lynch who will be there on the day. The Museum is re-opening following completion of a £2.4 million redevelopment project led by the Trust. Visitors to the Glastonbury museum will be able to explore rural life from the 1800s onwards and discover more about the county’s heritage including its landscape, food and farming, working life and rural crafts. To mark the opening weekend the Trust is offering special free admission on Saturday 3 and Sunday 4 June. The Museum, on Chilkwell Street, will be open from 11am on Saturday and 10am on Sunday and closes at 5pm. The redevelopment project was chiefly funded by the Heritage Lottery Fund, Viridor Credits Environmental Company, Somerset County Council, the Garfield Weston Foundation and other generous funders. The Trust is also most grateful to Somerset Building Preservation Trust and the Friends of the Somerset Rural Life Museum for their consistent support. Building work was undertaken by Ken Biggs Contractors Ltd.
For more information visit www.swheritage.org.uk/rural-life-museum.